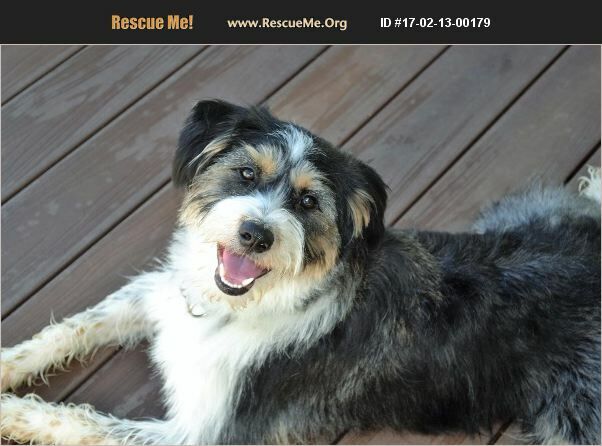 Maryland Tibetan Terrier Rescue View other Tibetan Terriers for adoption. GRIFFON'S 'MUST HAVES' 1. physical fenced yard where he will have room to run around and explore. He can jump fairly high so it should be at least 4 foot tall. 2. young, playful buddy in the house. Griffon gets along with almost every dog that he encounters but with his energy level, he can overwhelm some dogs. Size and gender do not matter...he will play with any dog, anytime. 3. a family/person willing to walk/run him at least twice a day for at least 1.5 to 2 miles each time. He would be a great runner's dog but would need more leash training. 4. older children (8+) or no children in the house. When Griffon gets really excited, he will jump up and on people and he will use his mouth when playing. Our process: 1. application 2. vet reference check 3. home visit 4. meet the dog (this often is at the same time as the home visit) 5. trial period if all are in agreement and if potential adopter is close enough 6. formal adoption if trial period is successful Application link is: http://www.emailmeform.com/builder/form/E53LXc4bsw6r997fuK4 Griffon is approximately 20 months old and is in the 30 to 35 pound range. He is medium to high energy and a low to medium shedding dog that will need regular grooming to keep the hair out of his face/eyes. He is a strong, muscular springy dog that loves to play. Mix is unknown but he is 'party' colored - gray, black, white, caramel brown colors. He has coarse hair in some areas like a terrier, and really soft, thick fur in other areas. Griffon is house-broken and crate-trained and currently needs to be crated when no one is home or he will chew on inappropriate things. He is a very friendly boy and loves to cuddle during his down times. Griffon is not good with kitties but is okay with all sizes of dogs. His leash skills are pretty good and he knows several basic commands. He is up to date on vaccinations (combo and Rabies), is micro-chipped, neutered and on monthly heart worm aand flea/tick preventatives. He is heart worm negative. If Griffon doesn't get enough exercise/activity, he may chew or dig when bored. Griffon's adoption fee will be $350 which will go towards his vetting costs and transport costs. You can check out his post on Adopt a Pet for more pictures. http://www.adoptapet.com/pet/18802338-upper-marlboro-maryland-tibetan-terrier-mix I am looking to place Griffon within a 3 hour radius of Washington, DC.